NASA successfully launched its first spacecraft dedicated to studying atmospheric CO2. 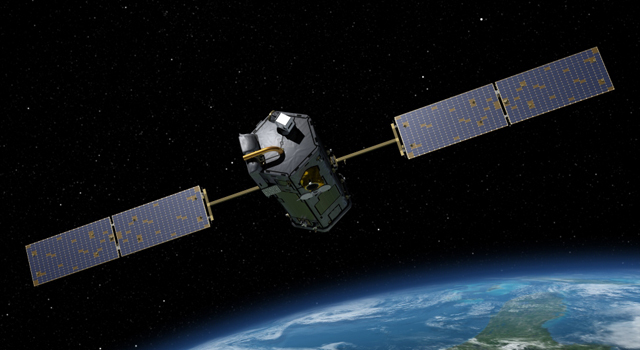 Orbiting Carbon Observatory-2 (OCO-2) will be NASA’s first dedicated Earth remote sensing satellite to study atmospheric carbon dioxide from Space. OCO-2 will be collecting space-based global measurements of atmospheric CO2 with the precision, resolution, and coverage needed to characterize sources and sinks on regional scales. “Sources and sinks” are the keys words here. As I posted before, when CO2 is added in the atmosphere only a part stays in there (which drives warming). The remained part could be absorbed by the ocean, and land. However, exactly where is highly uncertain. Thus this sensors will help to solve this part of the puzzle. Also OCO-2 will also be able to quantify CO2 variability over the seasonal cycles year after year. Forty years ago Sabana Grande, a small community in northern Nicaragua, was ravaged by war. Now you will find people sitting under solar-powered lights, eating solar-cooked chicken, and drinking smoothies made by a bicycle-powered blender. Sabana Grande (pop. 2,000), in the mountains of Totogalpa, about 20 miles from the Honduran border, has embraced a solar culture that has transformed the community. This is a great example of how to make the things work in a green way. With a 90% chance of the global weather phenomenon striking this year, impacts both devastating and beneficial will be felt from India to Peru. A new interpretation of state law regarding solar panels means that customers could be paying taxes on them by October 2015, the Arizona Republic reported. The taxes aren’t light either. According to the report, a $34,000, 7.8-kilowatt residential solar array would cost about $152 in property taxes for the lessee in year one. Commercial systems at 250 kilowatts might cost a business owner $4,485 in property taxes. Prior to the new interpretation, homeowners who lease panels saved an average of $60 to $120 per year.